Pristine beach in Nha Trang, Vietnam. If you enjoy leisurely days at sparkling beaches, delicious Vietnamese cuisine, or underwater adventures in coral reefs, Nha Trang is the spot for you to travel. 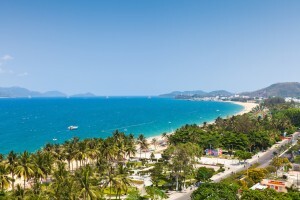 Known as the most appealing beachside resort-town in Vietnam, Nha Trang Bay has an interesting history and a wide variety of activities to enjoy in and out of the water, which gives it additional appeal to tourists from all over the world. 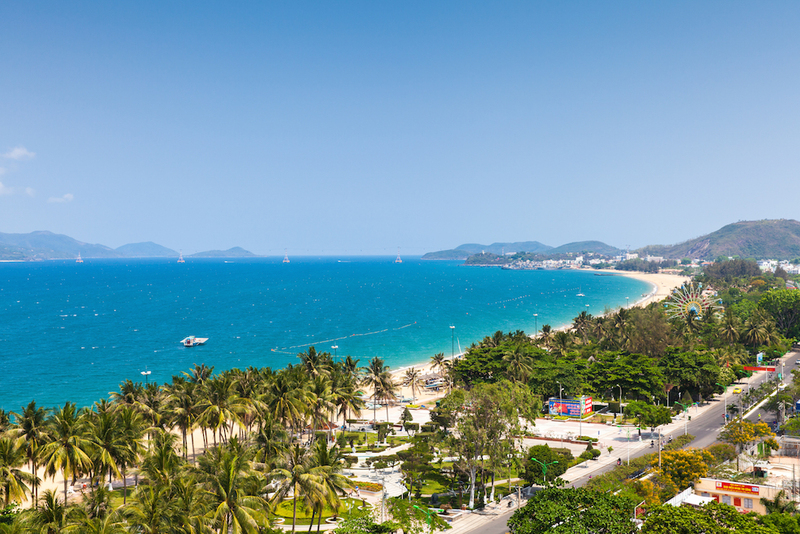 January to August is the best time of the year to visit Nha Trang. Beautiful weather during these months is perfect for sunbathing, scuba diving, and snorkeling. If you visit during the rainy season (September to December), be prepared for some heavy rainfall and a lot less sunshine. Rainy season means more than an occasional sprinkle of rain—it means monsoons in Vietnam. With beaches beckoning and more nightlife than most beach towns in Vietnam, Nha Trang has a lot to offer tourists. If you’re interesting in looking beyond the basics of beach and restaurants, check out these interesting sites to visit that are “must see spots” for tourists. 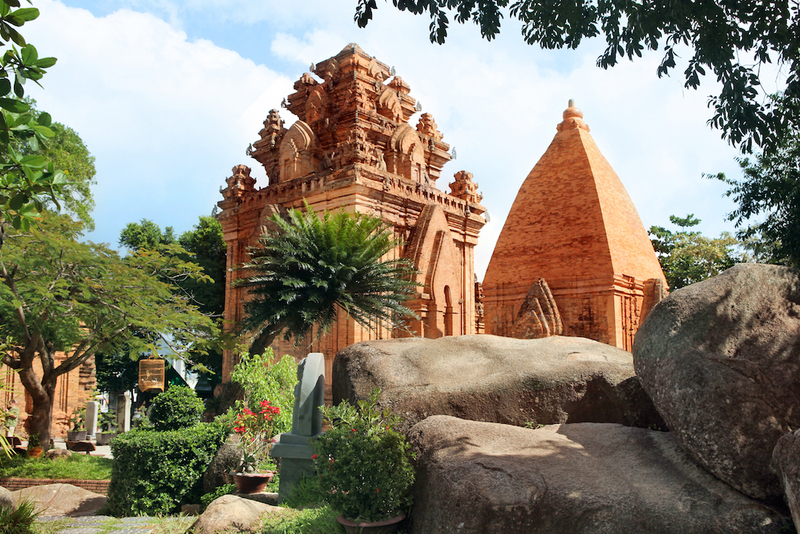 Po Nagar Cham Towers — Just 2 km outside of the city of Nha Trang are the impressive Po Nagar Cham Towers, brick temples which have stood on a hill for over 1000 years, on the banks of the Cai River. Originally, there were eight towers here built to honor the mother of the kingdom (the name Po Nagar Cham means The Tower of the Lady), but only four towers remain. Each tower faces east. The towers are still used daily by Vietnamese Buddhists for religious purposes, but visitors are welcome daily. Of the four towers, Thap Chinh (located in the north of the complex) is the most grand and impressive and has vaulted ceilings. Vinpearl Resort — With cable cars, a water park, famous water slides, restaurants, an amusement park, a golf course, sweeping views of Nha Trang bay, an aquarium, and a 5-star hotel make this a favorite destination for many tourists. Whether you’re staying in the hotel or not, you are welcome to visit the amusement park for a fee and enjoy amusements for the day. Thap Ba Hot Springs Center — Have you ever wanted to take a bath in mineral mud, or relax all your cares away in a natural jacuzzi-like hot spring bath? At Thap Ba Hot Springs Center you can take group mud baths or pay more for a private mud bath. The tubs are drained in between groups and filled up again with clean mud from the natural hot springs for each new group. Onsite, you can rent towels and get a locker for your things. Just bring your swimming suit. Ba Ho Waterfall — If you’ve always wanted to hike through a jungle to a hidden waterfall, you’ll enjoy a trek to Ba Ho Waterfall (also known as Sui Ba Ho), located 35 km (about 22 miles) out of the city. You can take a guided tour here (which is recommended, since the trailhead is only marked with a few old stone pillars. You can also rent motorbikes and come out here. If you travel by car, be prepared for flat tires because the road is not maintained regularly. This is one of the reasons why so many people come here with a tour group. The hike itself is a 3 km trek through mostly shaded jungle, passing three pools until you come to the waterfall itself. It’s a beautiful spot and an excellent place to beak away from the crowds and get close to nature. Just make sure you wear good shoes, because you’ll be jumping and climbing over boulders on the path, which can sometimes be slippery. Monkey Island — Monkey Island is one of many islands within an hour’s boat ride from Nha Trang, but this one is unique due to its large population of monkeys (200 were brought here in 1985 from Malaysia). You can take a ferry ride to Monkey Island for a few hours or for the whole day. On the island is a beach, hiking trails, and an animal show with trained monkeys. There are also some places where you can buy bags of food and feed the monkeys. National Oceanographic Museum of Vietnam — If you’d like to see the marine life in the South China Sea up close before you go scuba diving or snorkeling, this is the place to come. You’ll see all the native species of fish, sea turtles, and sea life in tanks on the first floor, along with swamp dwellers like crocodiles. Labels identifying each species are in both Vietnamese and English, which is helpful for tourists. Snorkeling at Hon Mun Island Marine Park — Hon Mun Island is one of the many islands in the Nha Trang bay with well-developed coral reef ecosystem. You can go snorkeling or scuba diving here or on several other nearby islands and experience the underwater beauty of the place. There are many colorful fish and diverse corals to see throughout the reef. Scuba diving certification is less expensive here than almost anywhere in the world, attracting many adventure tourists. Nha Trang Bay Boat Tours — Enjoy a relaxing boat tour of one of the most beautiful bays in the world, Nha Trang. There are dozens of boat touring companies ready to take you on group tours, private expeditions, dinner cruises, whale watching expeditions, or scuba and snorkeling adventures. One of the favorite activities to do in this area is to relax and enjoy the spectacular views on a boat cruise in Nha Trang Bay. Remember to arrange for a Vietnam Visa in advance of your travel. You can skip the long lines and hassle and obtain a visa at Vietnam Visa, where you can select a one month or three month visa and get approval within 24 hours. Contact Vietnam Visa today to get started on your trip to Vietnam. 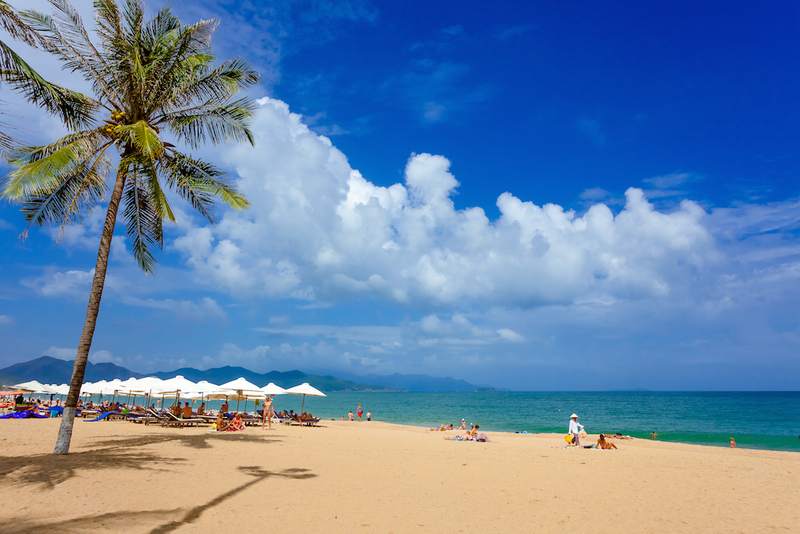 Nha Trang, Vietnam is the country’s top beachside resort town. Get your Vietnam Visa today and enjoy your visit.